September 24, 2011  It decides nothing, and may be totally meaningless, but like many other political events, the Florida straw poll gets a lot of attention from candidates and the media. 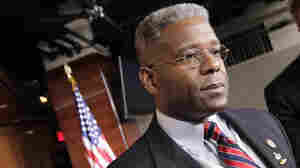 This year, the poll is expected to draw 3,500 party activists to take part in Orlando, where NPR's Greg Allen reports from the Conservative Political Action Conference. 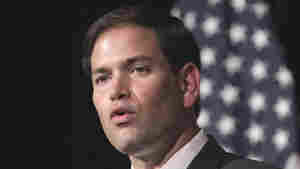 September 23, 2011  For a few days, Florida is at the center of the race for the Republican presidential nomination. After Thursday night's debate, the Republican presidential candidates stopped by the Conservative Political Action Conference in Orlando, Fla.
September 13, 2011  Texas Gov. 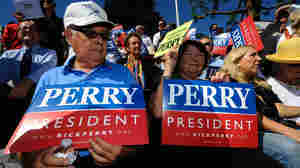 Rick Perry may not have won over many new supporters from the Tea Party ranks after Monday night's presidential debate in Tampa, Fla. 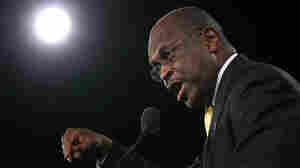 If Perry lost points with some in the audience, his closest rival, former Mass. Gov. Mitt Romney, was not gaining many either. 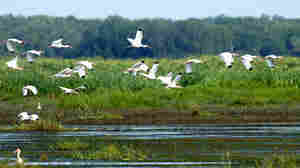 September 12, 2011  In Florida, federal officials have released plans for a new wildlife preserve just south of Orlando. The Everglades Headwaters National Wildlife Refuge will include at least 150,000 acres, but there's a twist — most of it will remain under private ownership. 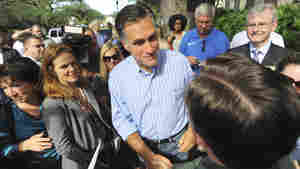 September 2, 2011  Republican presidential candidate Mitt Romney on Friday opened his Florida campaign headquarters. The state is likely to play a key role in the GOP nominating process. 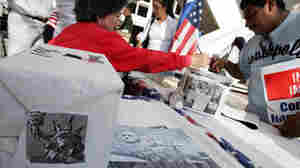 To do well there, Romney has to do well with one of the nation's fastest-growing groups — Hispanics.